This composite used a photograph taken by Kerim Okten. 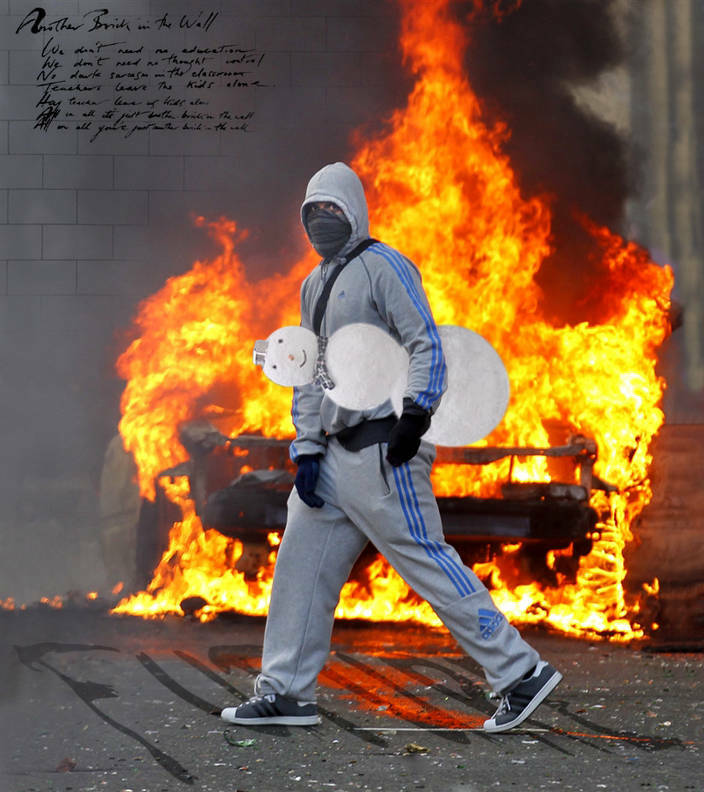 I knew as soon as I saw this image online it would be one of the defining images of the London Riots. Sure enough it was used by The Daily Star, Daily Mail, i, Daily Express, The Telegraph, The Sun and the BBC as a backdrop for their newsreaders. Its a powerful shot but I did not want to help glamorise what is ultimately pointless destruction. I’ve added some elements in an attempt to change the message.